This year was another good year with a couple hiccups! The break in to our storage locker saw us cancelling 4 schools in April. We gave them the choice of us to coming another date this year or us visiting next year. 2 schools had us come another date and 2 decided to wait until next year. We also had one school cancel at the last minute because they had a track meet rained out and the new date coincided with our visit. We were already in the area and it was too late to find another school. We are happy to say that’s the first time in 12 years that either of these events has happened! Below is a summary of the numbers for this past year. A small decrease form this rotation 2 years ago because of the 3 schools that were cancelled. Students – 4290- this is an decrease of 195 students from this same rotation 2 years ago. This is directly related to the 3 schools mentioned above. This rotation is the one with a lot of small schools. We travel more kilometers with this rotation and have more overnight stays because the schools are farther away. The small schools appreciate this program as they have small budgets and cannot afford to pay for presentations. We receive many thank you notes and e-mails from the teachers and students and are happy to see they thank FortisAlberta as well. It is a job with instant gratification as we receive such warm welcomes to the schools and great responses to the program. We have contacted the schools for next year to ensure we have the right teacher contact and to make sure they still want the program. We received an overwhelming response already and teachers are anxious to book dates for next year. We have a large waiting list this year because of the infomercial that is still airing on CTV. Some schools are not in FortisAlberta service territory and we let them know who their electrical provider is and that we cannot visit. We will work very hard to get as many on the waiting list into this next round of visits. Several of the teachers have been our contacts from the start and we appreciate the continuity as they know exactly what we need when we get to the schools. 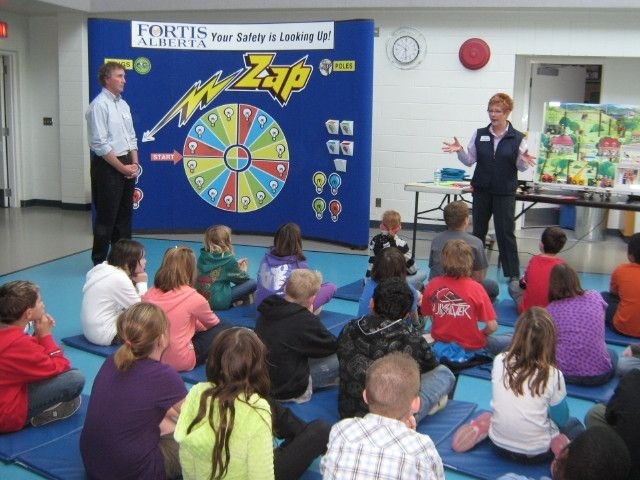 We can never emphasize enough how much the schools appreciate that FortisAlberta sponsors this program. 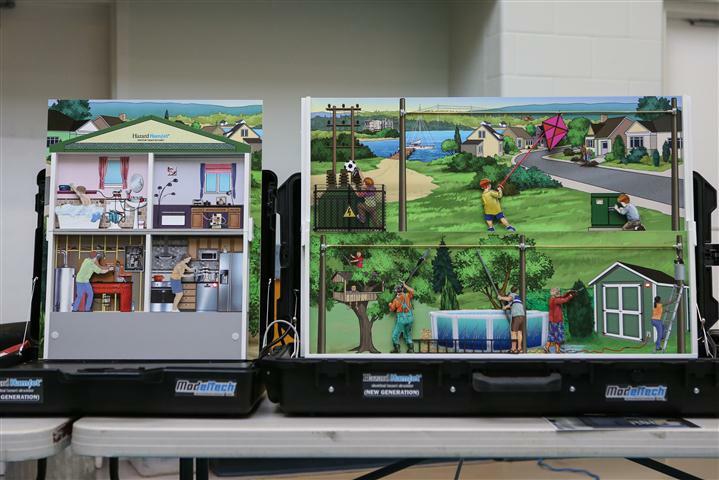 Many teachers tell us that the program covers the whole safety section of the Electricity and Magnetism unit and that the vocabulary fits into the other sections of the unit. 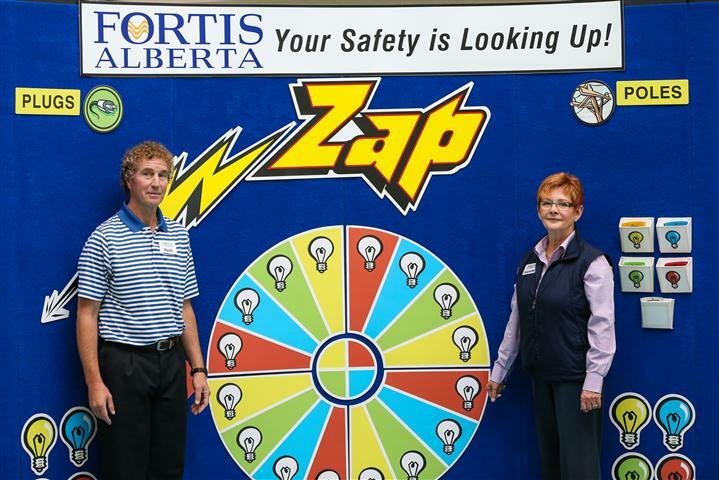 We look forward to another successful year and thank all the people at FortisAlberta who help make this program so successful. Also a huge thanks to all the people at FortisAlberta that helped us get up and running again so soon after our break in. We look forward to the next school year as we feel we have one of the best jobs in the province! We would be remiss without one final thank you… We will miss Jim Warawa and all the time he gave to our program. Jim was a true advocate of the program and such a gentleman to work with. There are not the words to thank him for all he did over the past 12 years and we wish him the very best in his retirement.